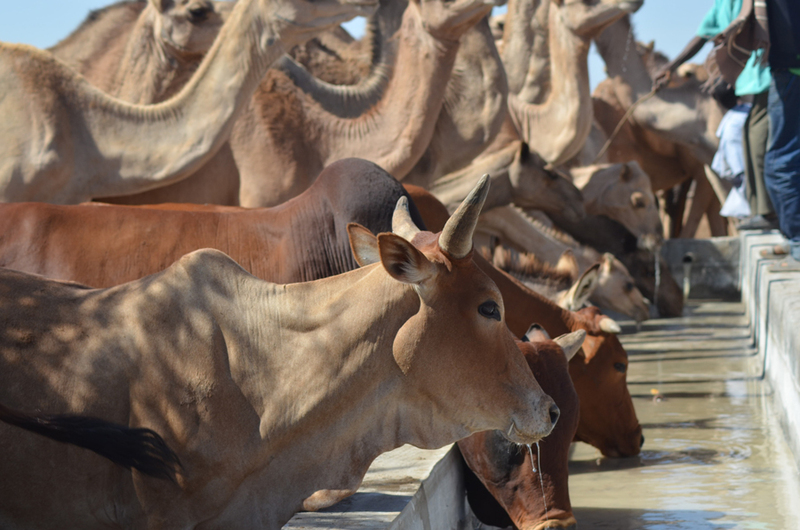 "In pastoralists’ communities, the saying that goes 'Water is life' really means that if we are able to conserve even a litttle drop of water that we have, it goes a long way to securing the future for our familes and livestock." Water is life. Water is on everyone’s mind, and as we observe World Water Day on 22 March, the time has come for us to take action and find ways to conserve this limited resource so that future generations can also make use of it. Aleybeday is a uniquely beautiful remote village that lies on the Somaliland-Ethiopia border. The village is semi-arid with a short rainy season, receiving about 650 millimeters of rain per year. It is an area bordered by sandy land and highly susceptible to drought conditions in as much as it has a vast land covered with small trees that attract camels from faraway villages. The people in Aleybeday village were experiencing water problems over a long period of time. A local resident recalls: "We used to go to places as far as Jigjiga and Arabsio across the border to fetch water. The situation was really severe that people had to walk for kilometers to these water points of about 50 kilometers or more." The fact is that water in the area is scarce, camel herders have to cover long distances to secure water for their families and livestock. But luckily in Aleybeday village, there is a borehole which was firstly constructed by Somali Region Water Development Bureau in 2005. The borehole was poorly constructed and lacked basic materials. It was installed with rusted pipes, water taps were clogged and the troughs too short so the animals could easily fall in. As a result, the people in the area could not get a regular supply of water for their domestic use and for livestock. Abdishakur Ali Aar, Havoyoco Project Manager in Ethiopia says: "The water pump was not functional and could not easily pump out water. Most of its materials needed replacement especially the metallic water pipes that were extensively damaged by rust." In addition, "The borehole had no cover at all so the anxiety was that even the little water available was neither clean nor safe for consumption." Oxfam in partnership with Havoyoco reached out to the people in Aleybeday. The team carried out a needs assessment to address the water situation and chose to rehabilitate the well due to its strategic location. 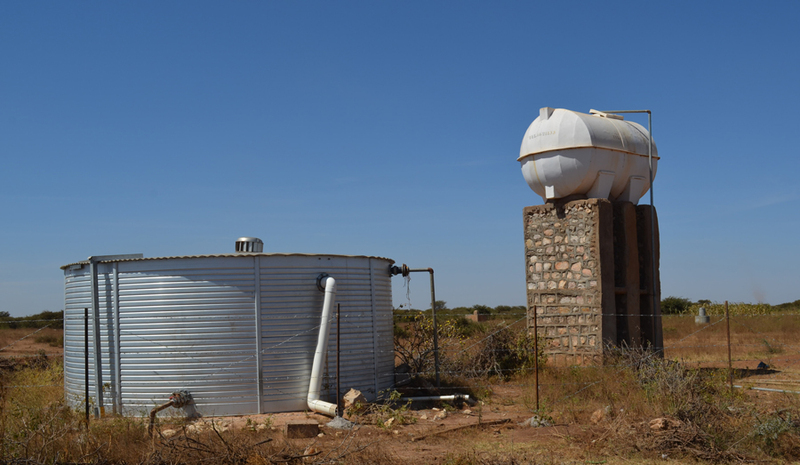 Aleybeday water borehole is the only one of its kind in the area and serves the huge pastoral and agro pastoral communities that are living around the border areas of Ethiopia and Somaliland. Kebede Tesema an Engineer of Molla Taye Construction Company in charge of the rehabilitation of the borehole explains the extensive process of rehabilitation: "The materials you are seeing here now are brought from as far as Harta Sheikh and it took us about twenty days to complete rehabilitation. So far three new water troughs for cattle camels and sheep are in place and all the rusty old pipes and pumps have been replaced with new modern ones." Abdishakur Aar is hopeful about the rehabilitated borehole and believes it will go a long way in improving the water situation, making a great impact in improving lives for the people of Aleybeday. "We all know that in pastoralists’ communities, the saying that goes 'Water is life' really means that if we are able to conserve even a litttle drop of water that we have, it goes a long way to securing the future for our familes and livestock," he explains. The borehole now provides water to the large communities in Fafan and Jarar particularly Daroor, Rabaso and Abokor in Ethiopia and Farawayne, Baligubadle, Balicabane and Wajale in Somaliland. Modern animal troughs have been put up in addition to a number of community water points that are serving about six thousand livestock and eleven thousand households. "This source of water has restored hope for the future back to the Aleybeday people. As you can see in the peoples' faces, they are so relieved that this spring of life will be sustainable and sufficient to supply clean water especially in the dry seasons," he concludes. Thanks to a program developed by an Oxfam's partner, families in displaced people's settlements in Somalia now have access to clean water near their shelters. A big change which literally saves lives and contributes to prevent waterbone diseases and conflicts over resources. Ziyaad Mohamed Hamed has been driving trucks filled with clean drinking water for thousands of families who have fled their homes in Gaza, in extremely difficult and dangerous conditions. Despite the ceasefire, there remain enormous humanitarian needs in Gaza.